RSVP to attend our next OPEN HOUSE(s) and try out some fun FREE Lessons! 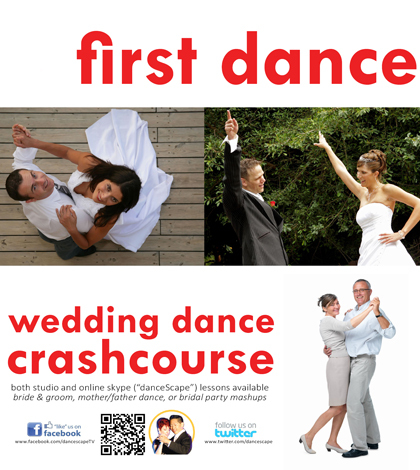 danceScape offers Ballroom Dance Lessons (Foxtrot, Waltz, Tango, Cha Cha, Rumba) & Club Salsa/Latin Dance Lessons (Salsa, Merengue, Bachata), Tango (International, Argentine), West Coast Swing, Tango, Jive, “danceTONE Fitness” (incorporating Rumba, Cha Cha, Salsa, Tango, Samba, Jive/Swing, Charleston, Waltz, Zumba & more) and lifeFLOW Chi (Qi) Gong/Guided Meditation. Servicing the areas of downtown Burlington, Ancaster, Milton, Hamilton, Oakville, Stoney Creek, Grimsby, Flamborough & Waterdown. RSVP for your free Ballroom, Latin, Salsa, Swing and Lindy Hop dance lessons and gift pack at our next Open House (see the Events calendar for dates). Our downtown Burlington location offers Ballroom Dancing (Foxtrot, Waltz, Tango, Cha Cha, Rumba), Club Dancing (Salsa, Merengue, Bachata, Swing), and Wedding Dance Preparation lessons. We also offer “Dance Fitness” programs such as danceTONE Fitness & lifeFLOW Chi (Qi) Gong/Guided Meditation. 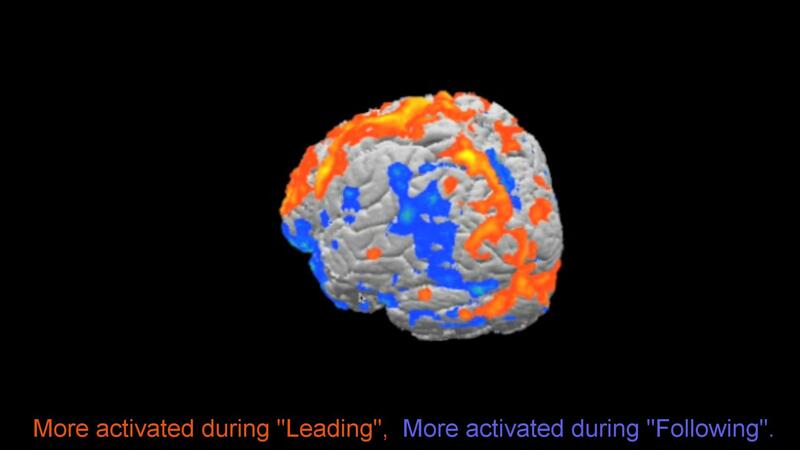 Levels range from “absolute beginners” to “level 1”. 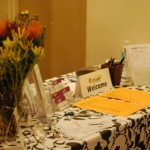 Class formats include Group, Semi-Private, and Private options. 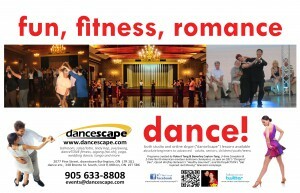 danceScape’s “For Absolute Beginners” Club Salsa/Latin programs are now available in Ancaster, Ontario. These are ten week workshops with smaller class sizes for more personalized attention. Join in the fun, as a certified danceScape Associate Instructor teaches you to SALSA, MERENGUE, BACHATA and more! 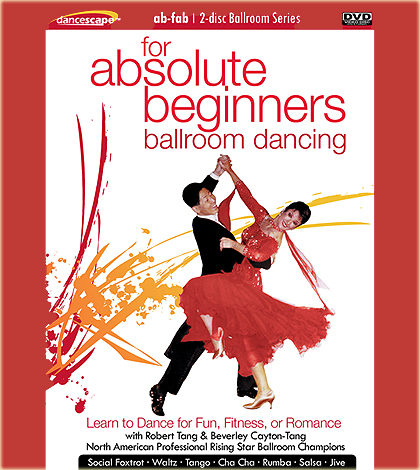 danceScape’s “For Absolute Beginners” Club Salsa/Latin and Ballroom Dancing programs are now available in Milton, Ontario. These are eight week workshops with smaller class sizes for more personalized attention. Join in the fun, as a certified danceScape Associate Instructor teaches you to SALSA, MERENGUE, FOXTROT, WALTZ, TANGO, CHA CHA and more! 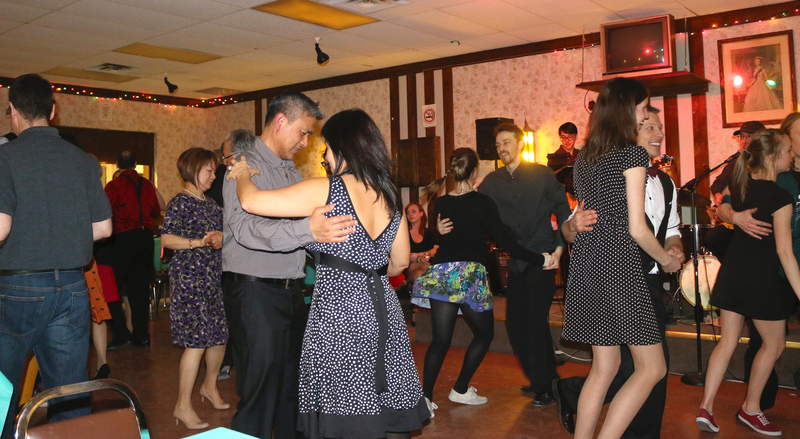 Limited “Private” or “Semi-Private” (form your own group 6 to 12 people) Lessons in “For Absolute Beginners” Club Salsa/Latin and Ballroom Dancing, as well as Wedding Dance Private Lessons are available in Stoney Creek, Ontario. Or come to our downtown Burlington location for Group Lessons. Join in the fun, as a certified danceScape Associate Instructor teaches you to SALSA, MERENGUE, FOXTROT, WALTZ,TANGO, CHA CHA, danceTONE, and more! Limited “Private” or “Semi-Private” (form your own group 6 to 12 people) in “For Absolute Beginners” Club Salsa/Latin and Ballroom Dancing, as well as Wedding Dance Crash Course are available near Oakville, Ontario. Or come to our downtown Burlington location for Group Lessons. Join in the fun, as a certified danceScape Associate Instructor teaches you to SALSA, MERENGUE, FOXTROT, WALTZ,TANGO, CHA CHA, danceTONE and more! danceScape is located within 15 to 20 minutes of the greater Hamilton area. 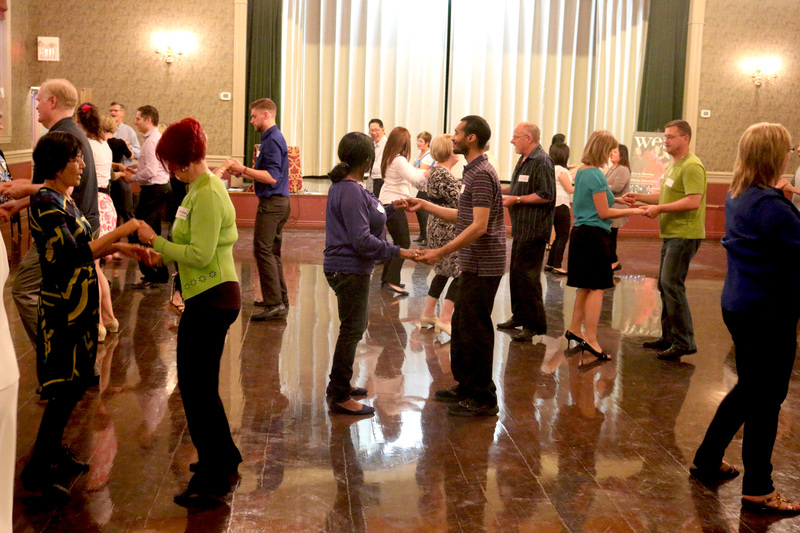 RSVP for your FREE Dance Lesson at our next Open House(s) and try out some fun Ballroom, Salsa/Latin, Jive/Swing, Lindy Hop, danceTONE and Zumba Fitness lessons. Dance Teacher Training and other Business Opportunities are available to candidates who may wish to have a career as a professional instructor. 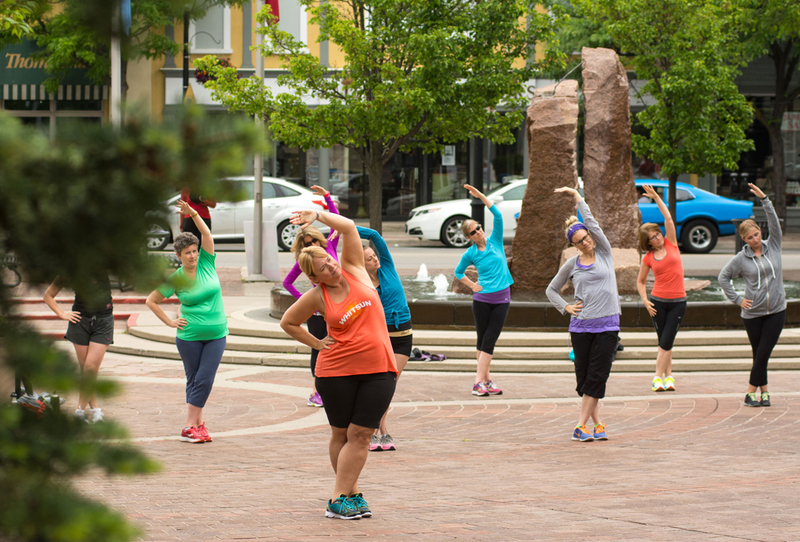 danceScape offers a number of fun partner and fitness-based dance programs that can be conducted at your school, or at our facility in dowtown Burlington. 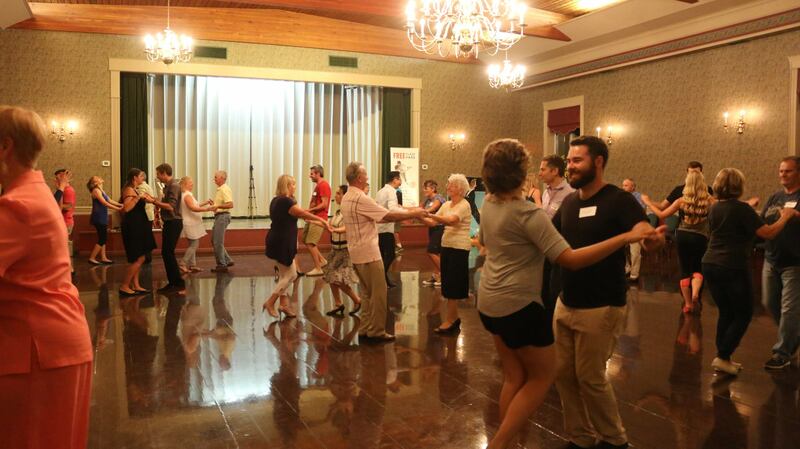 These include dances from our Absolute Beginners Ballroom, Latin, Swing and danceTONE programs in the Burlington, Halton, Oakville, Hamilton, Grimsby, Ancaster, Dundas, and Milton areas. 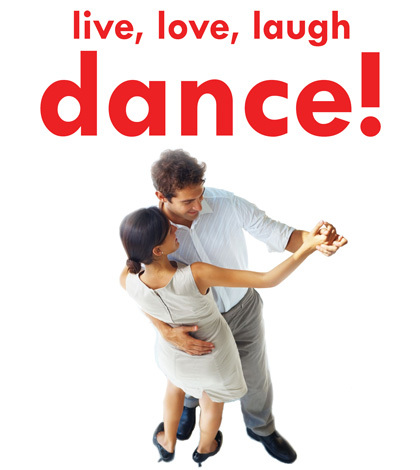 Join danceScape’s Burlington’s Social Dance Club! 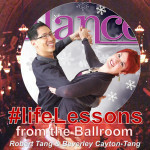 Experience the hospitality of Robert Tang & Beverley Cayton-Tang and their team at various fun Social Ballroom & Latin Dances and Entertainment events and venues in the Burlington, Oakville, Milton, Hamilton, Ancaster, Dundas, Waterdown, Flamborough and Niagara areas!